The centerpiece of our Mother’s Day Tea was a fashion show featuring Chico’s Spring/Summer Collection. 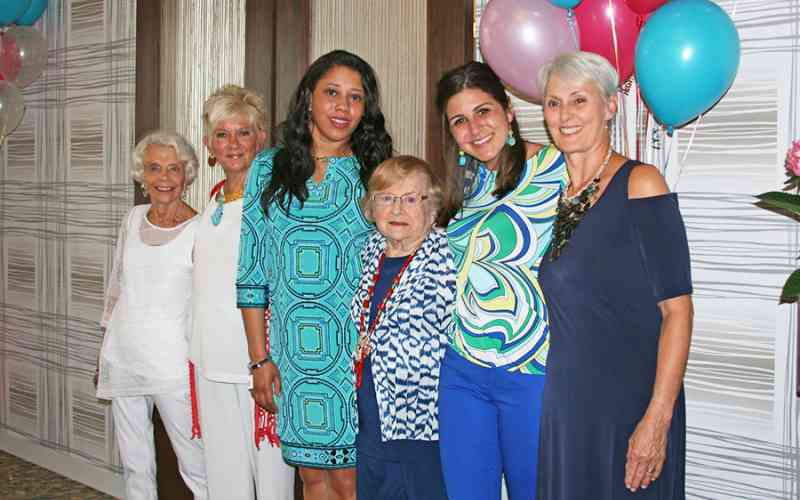 The models strutting the runway were residents Estelle and Ann, resident Pat’s daughter Jeanne, and Kiki, our Business Office Manager, Nicole, our Connections Director, and Cathi, our Concierge. The show was followed by tea sandwiches and petit fours with charming frock-shaped cookies as place cards. A raffle of a tote filled with donations from Daylesford Crossing and Chico’s benefitted the Philadelphia Chapter of the Alzheimer’s Association. Thank you to our friends at Chico’s in Paoli Shopping Center for bringing their fabulous fashions for us to enjoy! And, kudos to Activities Director Heidi and her staff for pulling off yet another delightful Daylesford Crossing event!